If you want to find Finnish design, head to these stores. Helsinki is a city of culture and design all year round. There is no better time to let yourself fall for the best of Finnish shopping then the present moment. 3, 2, 1- SHOP ´TIL YOU DROP IN HELSINKI! The Iittala Flagship store at Pohjoisesplanadi in Helsinki is a heaven for design lovers. The store was opened in a new location in 2016 and now represents the latest retail design of Iittala. Light and spacious store carries the complete Iittala assortment, including the famous Oiva Toikka Birds and other art items. The experienced store staff knows the brand and its materials throughout, and is able to serve you in several languages. The store also provides export service. Artek Helsinki offers a design experience in two stories. Artek’s own collection of furniture, lighting and accessories can be discovered in its entirety. Highlights include product launches straight from the trade fairs, Artek Helsinki specials, which are only available at the store, as well as a workshop, where Alvar Aalto’s Stool 60 can be customised on site by clients. Carefully selected products by like-minded companies, many of which are exclusively distributed by Artek in Finland, complete the offering. Marimekko is a Finnish design company founded in 1951, renowned for its original prints and colours. The company’s product portfolio includes high-quality clothing, bags and accessories as well as home décor items ranging from textiles to tableware. Samuji is a Finnish design house established in 2009. The Samuji collection presents a complete wardrobe for women, bringing together two separate lines: Samuji Classic and Samuji Seasonal. The Samuji Koti homeware line consists of house print fabrics, home textiles, red clay ceramics, mouth-blown glassware and small home accessories along with traditional houseware items from different cultures and regions. Samuji House carries both the Classic and Seasonal collections as well as the Samuji Koti homeware line. Finlayson is Finland’s best-selling and most loved home textile manufacturer. Founded in 1820 Finlayson was once the largest Nordic industrial company and a pioneer in many respects. Even today, Finlayson Oy textiles and Familon bed concepts add a touch of luxury to private homes and public premises. Long-term cooperation with the Allergy and Asthma Federation of Finland guarantees that the products are also ideal for people who suffer from allergy. Pentik is a Finnish interior design retailer, who wants to bring northern beauty and cosiness to homes. An inspiring home can be created by combining Finnish design, ceramics and the most beautiful discoveries from all around the world. Stores in Forum, Itis and Kaari shopping centres, and an outlet store at Arabiakeskus. Located in the beautiful center of Helsinki, the Stockmann Department store offers a wide selection of inspiring, quality products from top fashion, cosmetics, Finnish design, souvenirs, home products and groceries as well as cafés and restaurants – all under the same roof. Visit the Service Area on the 8th for advice and help on tax free issues and receive a Visitor Discount voucher. The voucher entitles you to a 10 % discount off all regular priced purchases and 5% on food on one day of your choice. 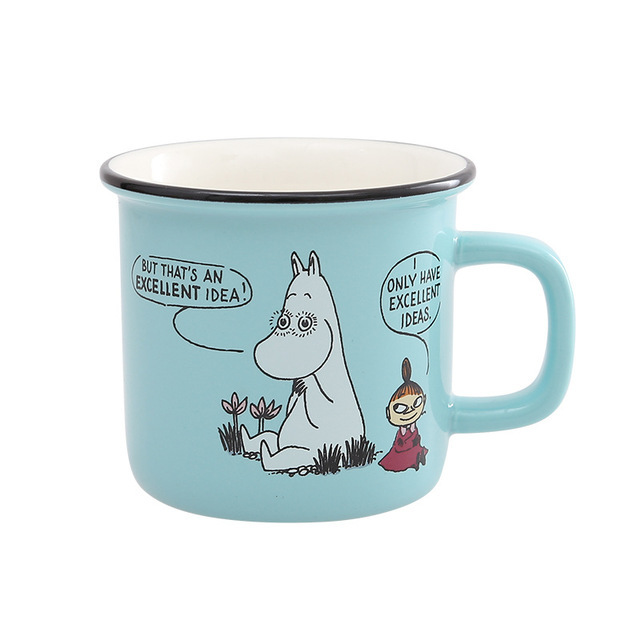 Stockmann is also located at Itis shopping centre, Tapiola in Espoo and Jumbo shopping centre in Vantaa. Johanna Gullichsen Textile Craft & Design offers an extensive lifestyle collection for modern living. The collection consists of fabrics for upholstery and furnishings, kitchen and table-linen, bath-linen, bed-linen, kimonos and other home accessories. Johanna Gullichsen´s textiles reflect elements of modern living. Lapuan Kankurit is a jacquard weaving mill, where weaving skills and material knowhow have been refined into excellence for decades. Behind the successful products are top designers, professional staff, the latest weaving techniques and a responsible attitude towards the environment and people. The Lapuan Kankurit products tell their tale of finished craftsmanship, user comfort, natural materials, technical product innovations, an ecologically sound approach and Scandinavian design. 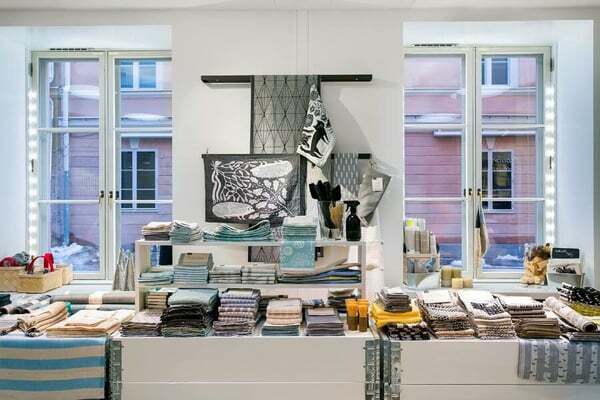 The Lapuan Kankurit Store & Studio displays a wide range of table settings, kitchen, bath and home interior textiles and wool blankets and is located in the Tori Quarter, between the Helsinki Cathedral and Market Square.